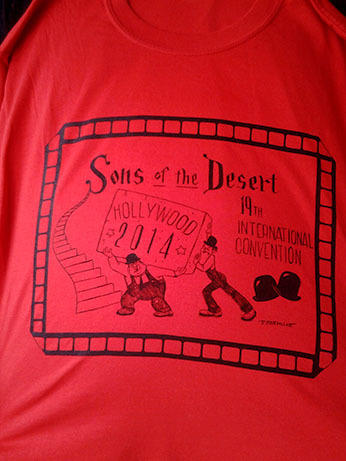 Several Sons have asked to see the convention t shirt. I never thought about anyone not attending the convention wanting one but that certainly isn’t the case. 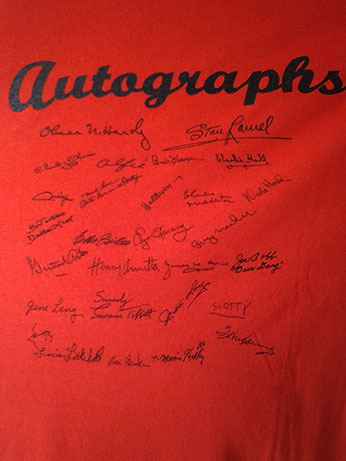 It is a red shirt with the convention logo on front and autographs of L&H and costars on the back. Check or money order only please and orders and payments must be received by August 4, 2014.